As Wired states: The project has been tagging architecture for a few months. In one location in Chalk Farm, a wall that used to feature a piece from Banksy that has a tag that lets scanners see what the work looked like. The BBC’s Broadcasting House has also been covered in tags. In one Oxfam shop in Manchester, the project used RFID tags and QR codes to allow objects to be tagged with the memories of those who donated them. 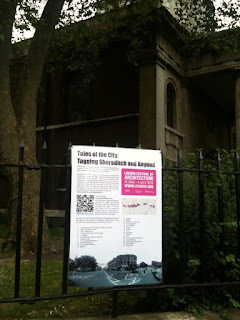 Tales of the City starts off with a pre-placed tag at the historic heart of Shoreditch, St Leonard’s Church. 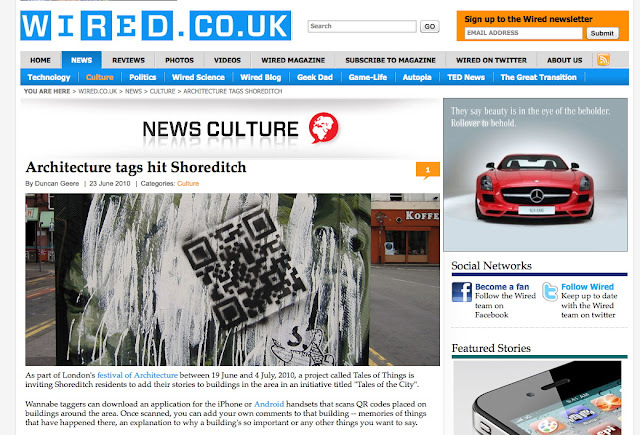 From there you will be able to spot tags (QR codes) on Shoreditch High Street which you can add your own stories to, contributing to the growing network of tagged architecture. This will enable people to form a personalised tour of London’s contemporary history through architecture. If you have an iPhone or an Android handset be sure to download our free app – talesofthings to enable you to leave comments on the QR codes, or create your own codes to put on your favourite buildings. In order to take part simply download our free “talesofthings” app for your iPhone or Android and when you spot a code on a building scan the code to add your own memory such as what the building used to be, why it is important to you or perhaps it is simply a building you hate. If you don’t have a smartphone you can still take part by visiting our website www.youtotem/talesofthecity where you can clip on the map and add comments to buildings which have been tagged. Tales of the City is part of ‘TOTeM’ – a collaborative research project run by Edinburgh College of Art, Brunel University, University College London, University of Dundee and University of Salford. This project aims to find a new way of preserving social history – through people’s memories. 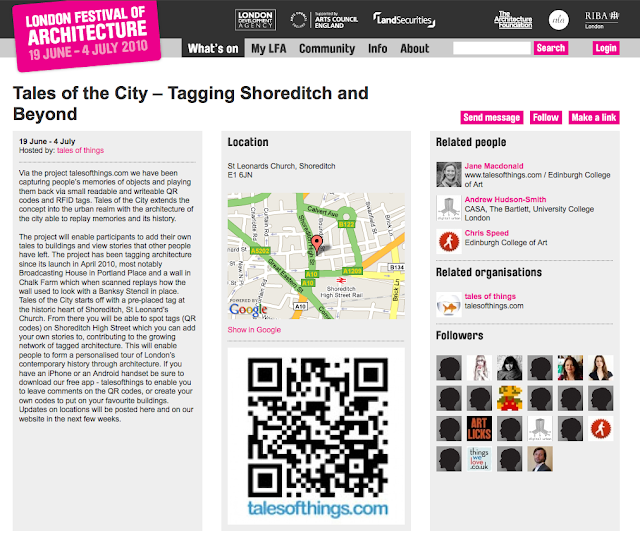 People will be able to preserve their family/community history by “tagging” (labelling) their personal objects via our website www.talesofthings.com. Users will be able to attach memories to their objects in the form of video, text or audio, this will enable future generations to have a greater understanding of the object’s past. TOTeM will carry out its research initially through case studies with different community groups who are not included in a written history of our time but their experiences and memories are just as valuable. Trailer for Tales of Things from digitalurban on Vimeo. The project aims to offer a new way for people to place more value on their own objects in an increasingly disposable economy. As more importance is placed on the objects that are already parts of people’s lives it is hoped that family or friends may find new uses for old objects and encourage people to think twice before throwing something away. yep its a complete clone, they even use the term ‘add a thing’. Flattering, annoying or bit of a cheek?